Since August 2009, I am a postdoctoral researcher at the Lawrence Livermore National Laboratory (LLNL). Dietmar Ebner is a Research Assistant at the Christian Doppler Laboratory Compilation Techniques for Embedded Processors. His research is focused on combinatorial optimizations for hard problems, in particular using dynamic programming, local search techniques, and integer linear programming. Current projects are on retargetable compiler backends and automatic parallelization for superscalar and VLIW architectures. He received his M.Sc. (Dipl.Ing.) 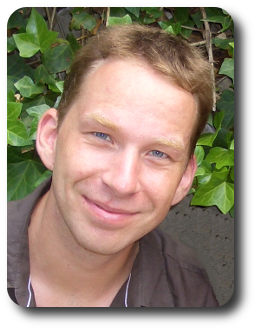 in 2005 from the Vienna University of Technology for his master thesis on exact crossing minimization for graphs using integer linear programming. Thereon, he spent six month at the Mitsubishi Electric Research Laboratories working on scheduling algorithms for hard transportation problems such as group elevator control. Since 2006, he is working on a project on optimizing compilers for embedded architectures that is partially funded by ON DEMAND Microelectronics. The course gives an overview of VLIW design principles and captures several real world examples along with their peculiarities compared to the general purpose computing domain. The main focus is on compilation techniques for ILP compilers, in particular speculation and predication, region scheduling techniques and software pipelining. SIGPLAN is a Special Interest Group of ACM that focuses on Programming Languages. SIGPLAN is a Special Interest Group of ACM that focuses on all aspects of Embedded Systems including both software and hardware. My résumé is available in PDF format! Cheat-Sheets for emacs, gdb, and the MIPS R2000 instruction set. GCC does not (yet) have a serializable intermediate representation. There is some work going on in the link time optimizations brach. Have also a look at the GCC Wiki and the Bugzilla database! In the meantime, you can use this patch to create a GIMPLE dump after a particular phase in XML format by passing -fdump-tree-<phase>-xml. The patch should cleanly apply to gcc 4.1. Sources, precompiled JAR archives, and benchmark instances for various algorithms for the map labeling problem in the (most general) four-slider model. All sources are available under the terms of the GNU GPL licence.